Favourite Things: Trains, Giant skittles. "First night when we've got home, he picked up a fork and started eating his dinner with his affected arm!" 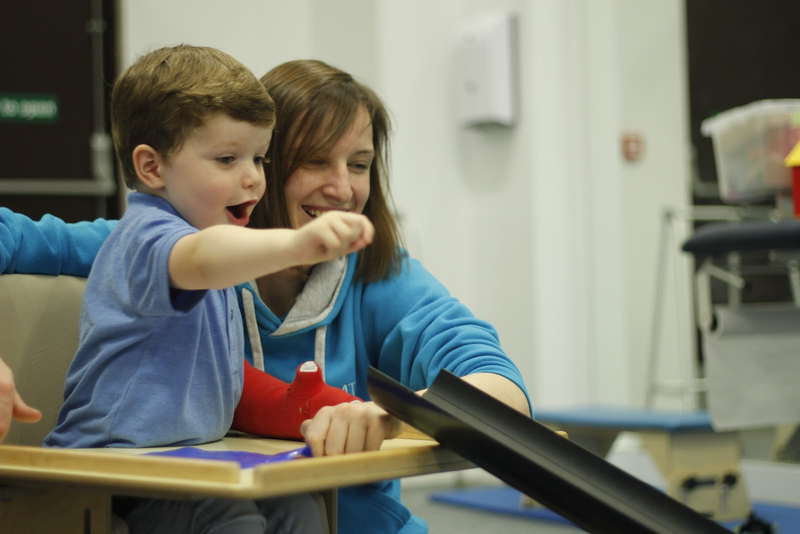 Finlay had lots of high tone in his right arm which prevented its function. Finlay’s movements were slow and effortful and he was unable to overcome the tone to control grasp and release. 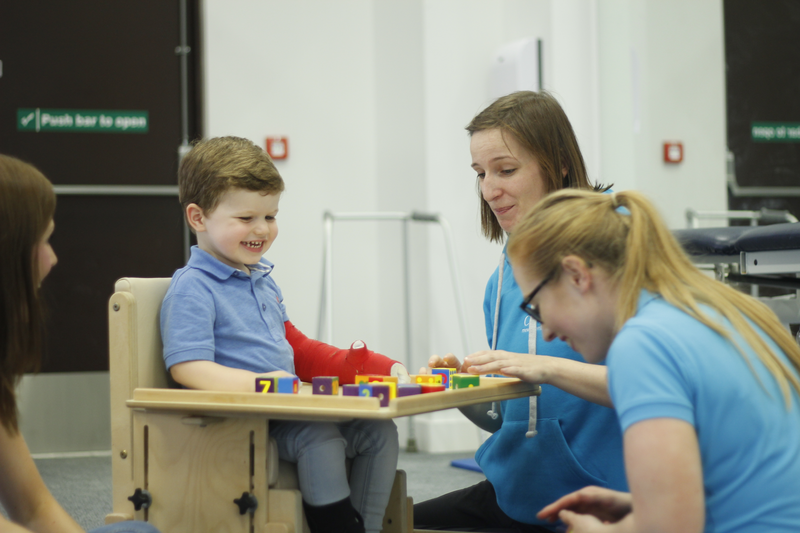 When unprompted, Finlay would ignore his right side when playing as he didn’t recognise it as a useful limb, the tone caused a clenched fist and a bent elbow meaning his arm couldn’t assist him in play. 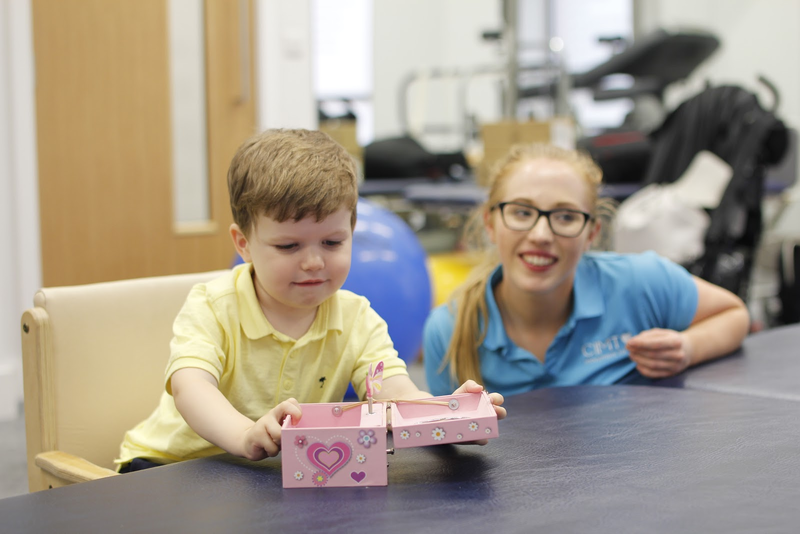 During the three weeks we worked hard to improve the control and strength of Finlay’s limb in order to reduce the tone and give Finlay a useful assisting hand that could grasp and release objects. 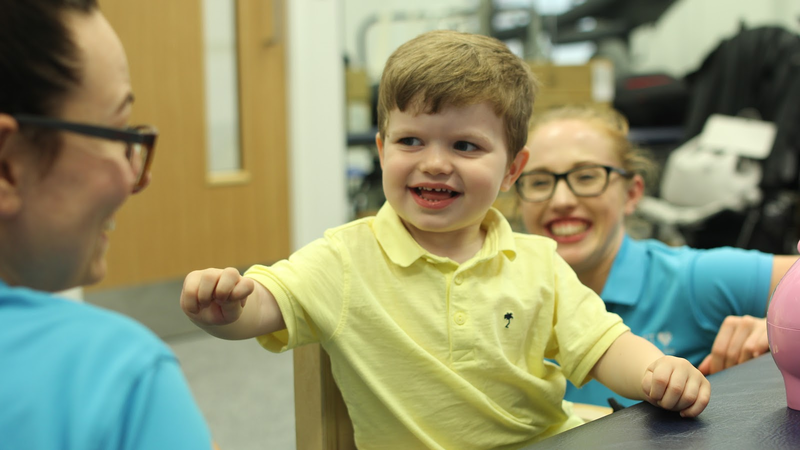 Having the cast on for 24 hours a day for 3 weeks allowed Finlay to focus on only using his affected arm in activities, and increase his awareness of his right upper limb. This stimulates the formation of new pathways for movement, which “rewires” the brain - this means that a larger part of the brain becomes active when producing movement of the weaker arm. The better the control and awareness of the affected limb the easier it is to regulate the abnormal tone. 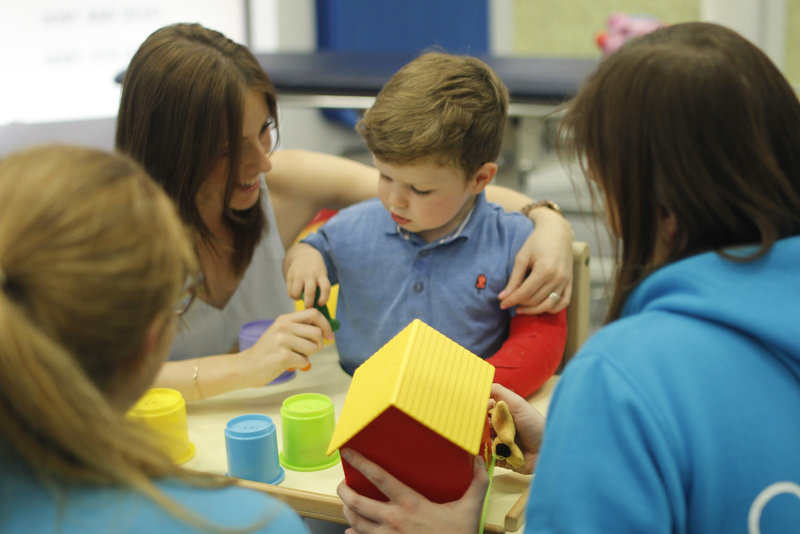 The static posture of the non-affected side in the cast further assisted to reduce tone in Finlay’s arm and hand consequently promoting functional use. 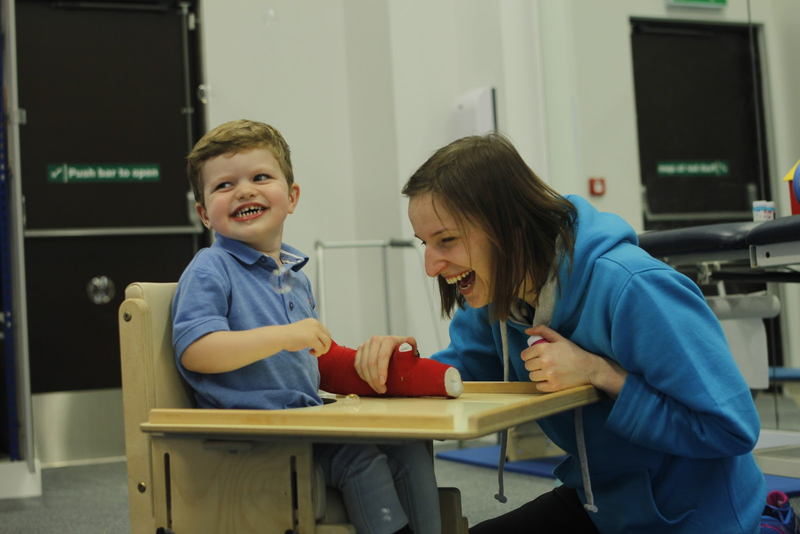 An increase in strength, dexterity and coordination was seen in his hand following the programme. Finlay developed the ability to isolate his index finger and had the strength to use it when pressing. 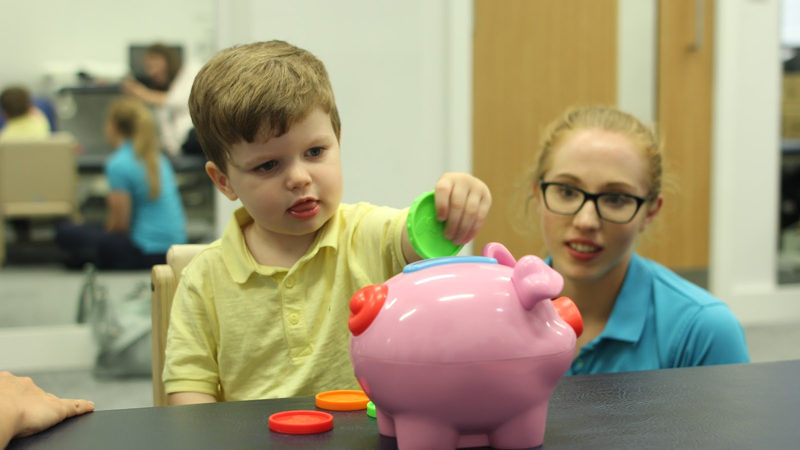 The quality and range of Finlay’s grasps has increased, he is now able to pick up a variety of different shaped objects using different grasps, including pincer. 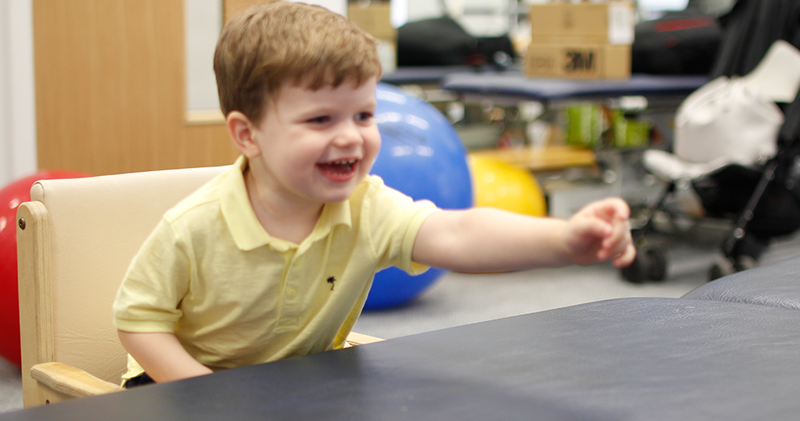 Finlay is now able to control grasp and release enough to pick up items from the table and place them down again. “Sincere thanks to Nikki, B and all the fabulous assistants for a great 3 weeks. You all took the time to really understand Finlay and how to get the best from him and we are very grateful for this approach making the experience fun, inspiring and a learning experience for us all. 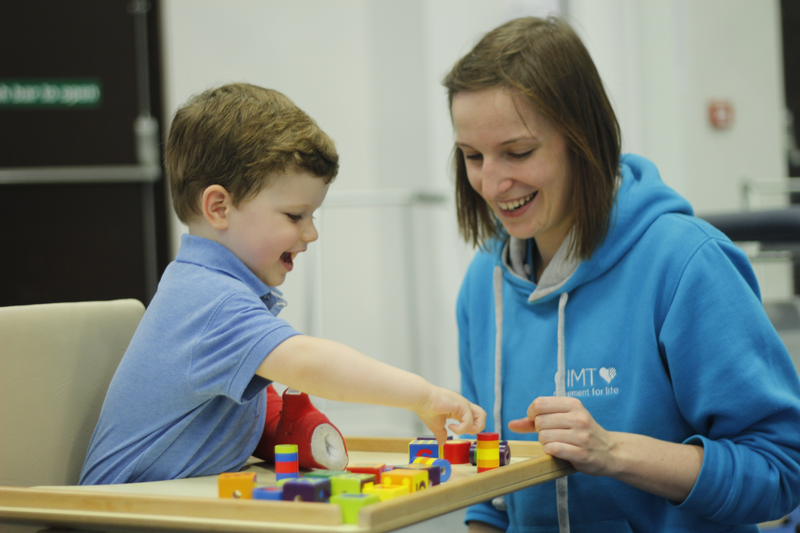 I’m really happy with the outcome, CIMT has definitely paid off! 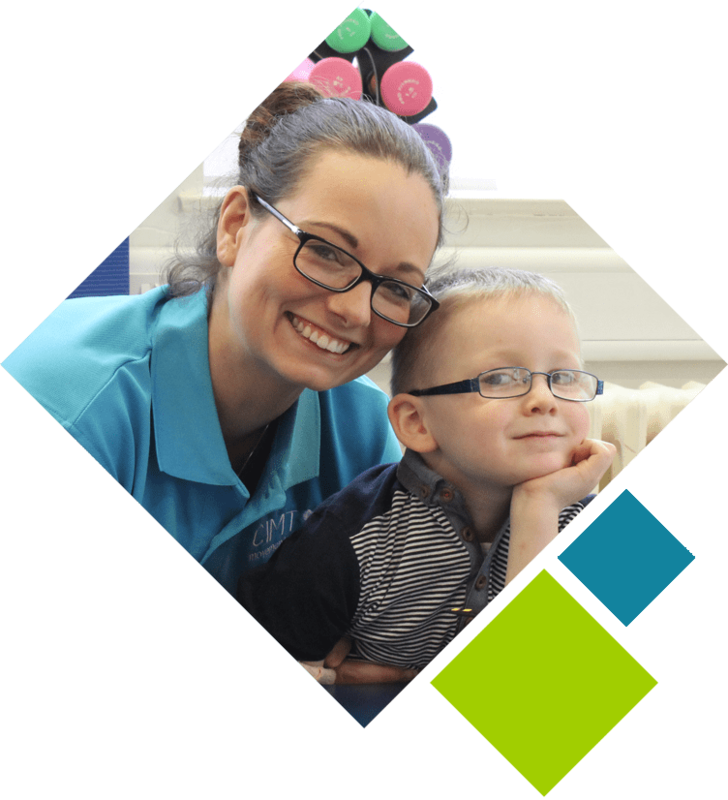 Everything from the customer service, to therapists, to being looked after, to the amount of information we have to bring back home, to plan for us of how to incorporate it at home and much more - it was brilliant. 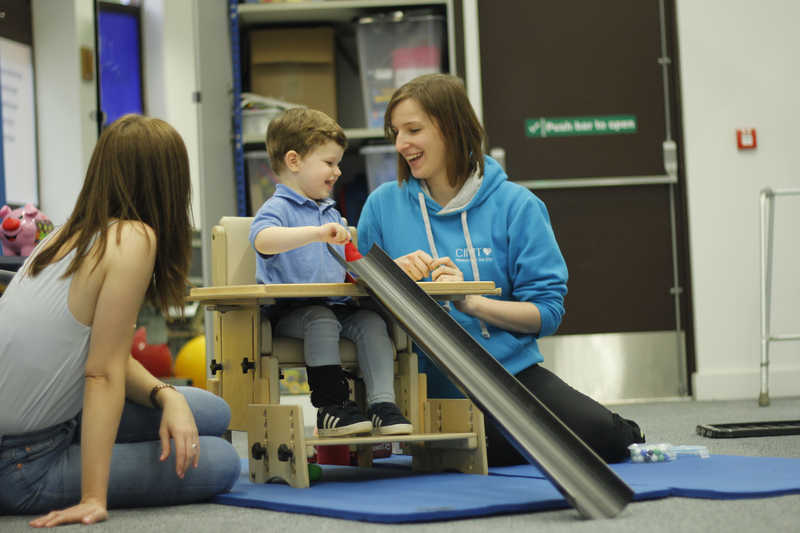 “To now see Finlay isolate his index finger, understand that he has another hand and how to use this, relax his fingers more is hugely inspiring and we are hopeful for his future. 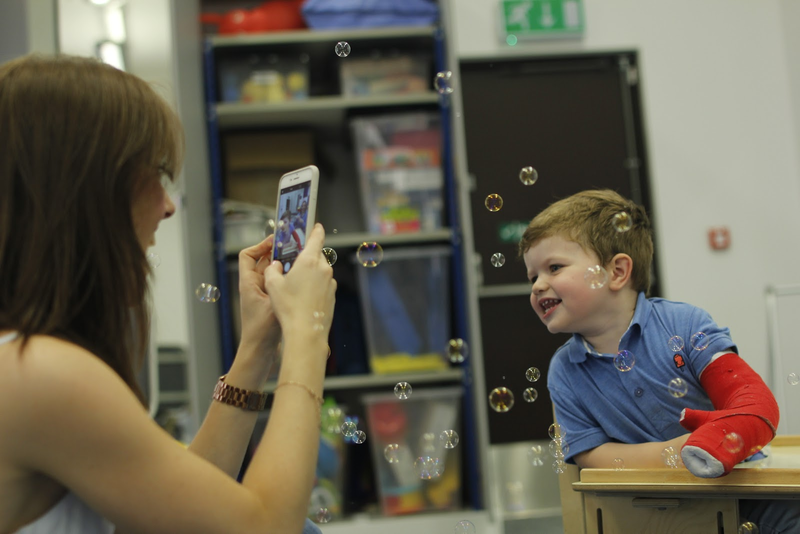 Thank you.” - Hayley, Finlay’s mum. “Finlay was a superstar. 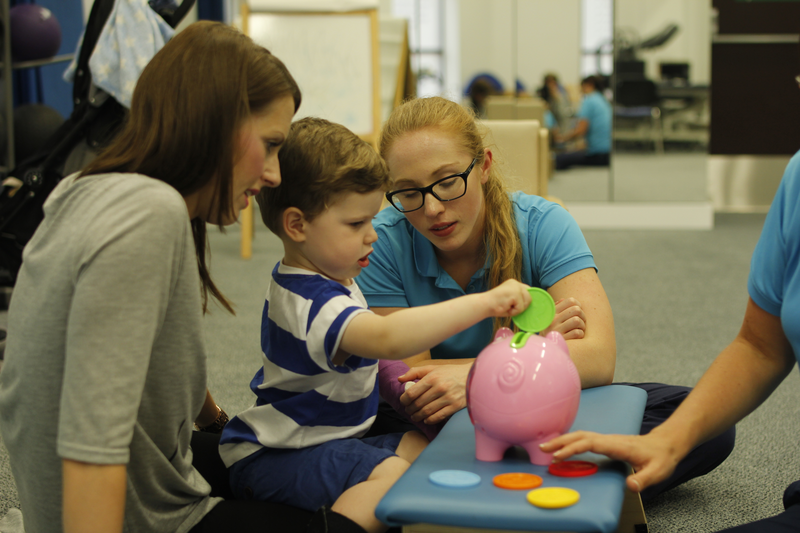 He worked hard and enjoyed the constant attention of 2 therapists for three hours a day! 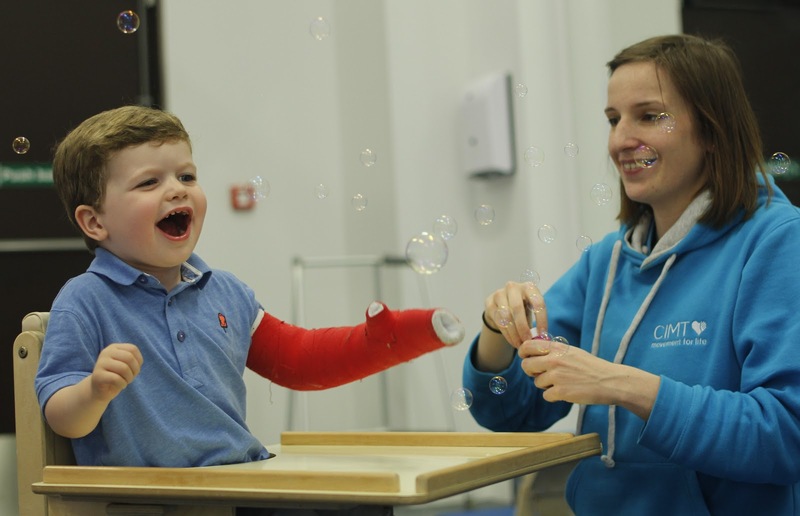 Finlay discovered he could use his right arm functionally from the moment he was casted which made his progress a joy to watch. 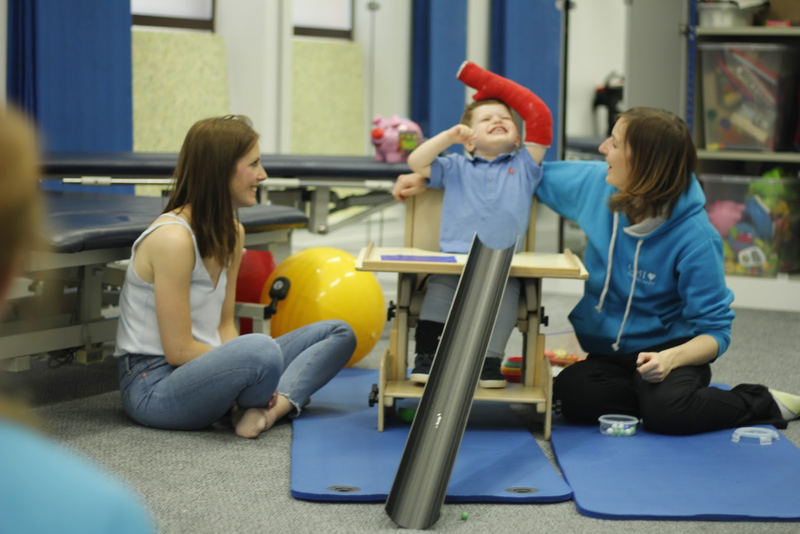 Finlay has gained enough confidence in his right side to incorporate it into bimanual function allowing him to continue his rehab journey. "Finlay was a superstar. 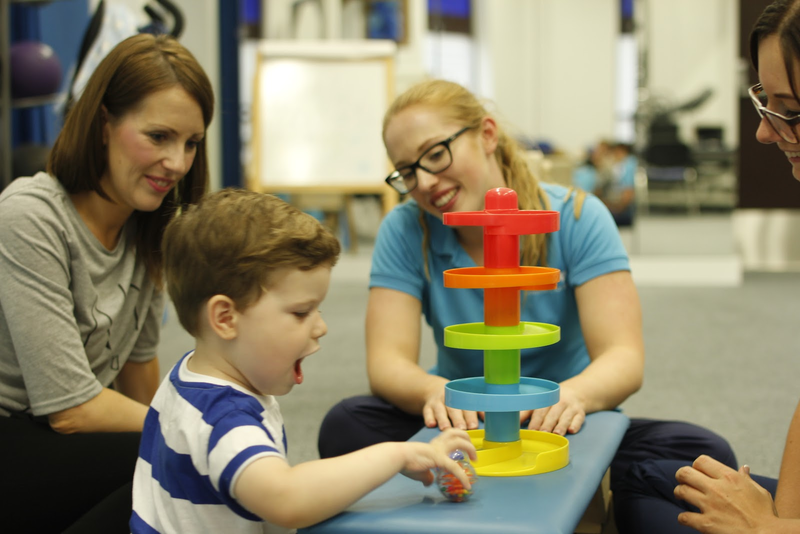 He worked hard and enjoyed the constant attention of 2 therapists for three hours a day!" 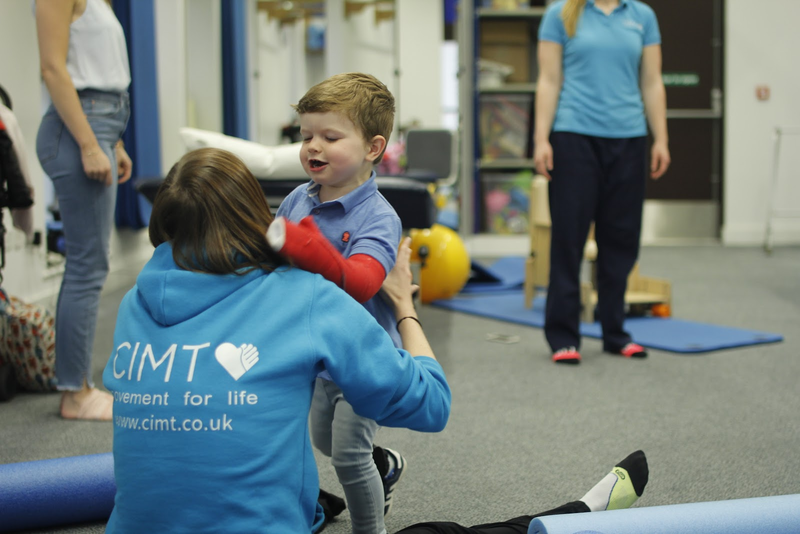 "The highlight of CIMT for me is his understanding of what the hand can do with his right hand and how can he manipulate it"